Welcome to WWE Payback 2017, in which world’s collide and nightmares become reality! Buckle in and get ready for a night of titles matches and rematches! Roman Reigns has been out of action for three weeks, ever since Braun Strowman killed him on live TV. Tonight Roman returns and it’s unclear what kind of shape he will be in. I mean, a normal human can’t return from a separated shoulder, internal bleeding, and broken ribs to fight a giant, but this is WWE and Roman Reigns, so he’s probably 100% again. The two behemoth’s square-off in tonight’s main event to determine who will face Brock Lesnar for the Universal Championship at *ahem* Great Balls of Fire, in July. Not even sure if that sentence makes sense. Anyways, rumours suggest Braun will be going over Reigns tonight, which will send him on collision course with Lesnar, but I wouldn’t be surprised it we didn’t get a clean finish. Next up is the SmackDown bleed-over, Bray Wyatt Vs. Randy Orton in a House of Horror’s match. It’s a little shi$*y that this match isn’t on a SmackDown PPV, seeing as all this weird insanity between Orton and Bray has been built over there, but we get the whacko pay-off on a Raw PPV. Just another example of SmackDown being royally shafted by the powers that be. Anyways, I have no idea what to expect of this match, or even if it will take place in the arena, it could be a taped match that will just be played. Either way, I’m pretty damn excited for what kinds of madness Bray could be hiding in his home. I’m imagining a cross between Arklham Asylum and House of 1000 Corpses. Hopefully it’s even weirder than that. Bayley will defend her WWE Women’s Championship for the first time in singles competition tonight. Correct me if I’m wrong on that one. Bayley will go one-on-one with Alexa Bliss, who jumped ship from SmackDown and immediately asserted herself as the wily heel who can outsmart the other ladies to catapult herself to the top. Bliss has been a breath of fresh air on the Raw’s division, which felt stagnant after seeing the same four women all the time. I don’t think she will dethrone Bayley tonight, but I think Bliss will prove herself to a lot of new fans. Elsewhere, we have Neville Vs. Austin Aries for the Cruiserweight Championship. Aries has been outnumbered many times in the build-up to Payback, with Neville recruiting T.J Perkins to his evil kingdom. The time seems right for Aries to finally dethrone the King! The Hardy Boyz face Sheamus & Cesaro for the Tag Team Championship’s tonight in what is sure to be a really fun match, although everyone is simply waiting for Matt and Jeff to become BROKEN again. In another weird clash of red v blue, Kevin Owens faces Chris Jericho one more time tonight, with the winner taking the US title to SmackDown. This match hasn’t got a lot of steam behind it because the two former best friends have been on different shows, not to mention Jericho is known to be leaving WWE to tour with Fozzy, leaving little doubt as to who will walk out with the gold! That’s our preview for tonight’s show! Which match are you most excited for? 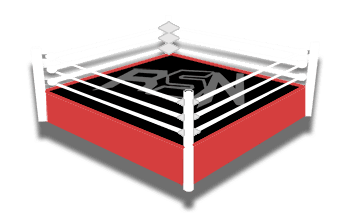 Let us know in the comments and be sure to check out the free Ringside News app for this and all your wrestling coverage! And, of course, enjoy the show!